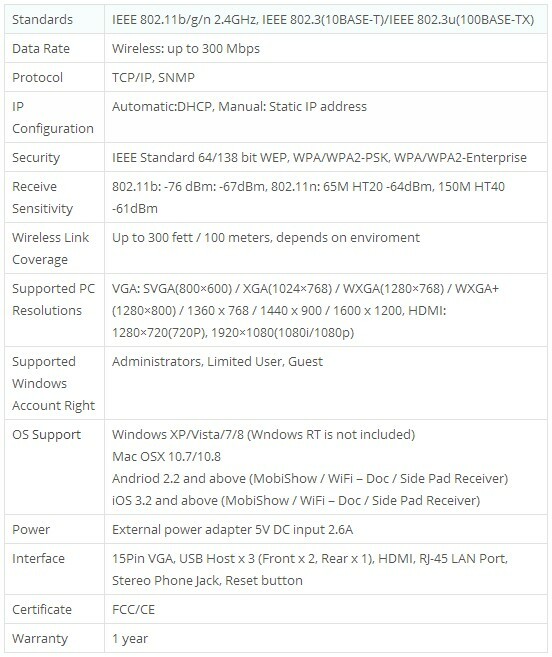 ICE G Sync – Wireless Presenting. Allows up to 64 devices to share and collaborate in real time. So you have purchased tablets, ipads or new window surfaces for individual personalised learning, but how do you get the information / display from their device onto your Interactive Whiteboard or Interactive Touchscreen? This is the question many Teachers have been asking me after they have made a considerable investment in their portable technology. ICE G Sync is a bring-your-own-device (BYOD) tool that wirelessly syncs multiple computers or mobile devices to a single presentation screen, enabling up to 64 users to take turns in giving presentations. In collaboration mode, four users can interact with the touchscreen or whiteboard simultaneously, with content from all their devices being displayed on the main viewscreen. Supporting full HD, and Mac and Windows compatible, Genee Sync can be connected to any touchscreen, projector, display or TV with an HDMI or VGA input. ​New features and benefitsGigabit/POE (Power Over Ethernet) – SYNC II now supports Gigabit Ethernet speed when sharing your screen or browsing the internet. The unit can now also be powered through Ethernet (Power over Ethernet). Basic FeaturesPlug & Show – Launch WePresent software from a USB thumb drive without installation.